They say opinions are like birthdays-everybody has one…. Ms.Su Says is all about my experience, personal choice’s and unbiased opinion. My reviews are not just about the food/books/movies/travel, it is a short story in itself. I hope to give a glimpse into a not so humdrum of the place, the mood, ambiance and lastly the whole reason that this was started… my loving gaggle of friends. On What you may ask?????? Though sky is not the limit for me to write, I prefer to focus on few of my passions that I indulge now and them. You would read here reviews on Restaurants, Travels, Movies, Books and sometimes I would like to throw a curveball and direct my focus on healthy home cooking videos/pictures. This is a safe haven that let’s me express myself and in turn gives you something interesting to read. As they say a bit of mystery hurts none…I’ll leave you guessing on what else I could do. Click on the subscribe button and I promise to make it a fun read. I’m happy to answer any questions you may have about my reviews. 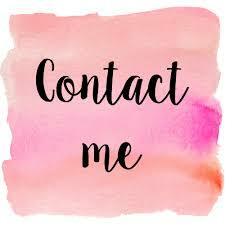 Reach out to me and I’ll respond to you as soon as possible. If you want me to experience and share my thoughts on your restaurant’s offerings I’m happy to indulge you. Shoot me an email to the below address.